In 1965, Tom Houck was a high school senior when he decided to drop out of school and join the fight for civil rights. Leaving Jacksonville, Florida, and heading to Selma, Alabama, Tom, 19, eventually met Dr. Martin Luther King, Jr. and quickly volunteered to work for Dr. King’s Atlanta-based Southern Christian Leadership Conference (SCLC). Soon after his arrival in Atlanta, Tom was invited to the King home for lunch and Dr. King’s wife—Coretta—asked him to become the family’s driver. 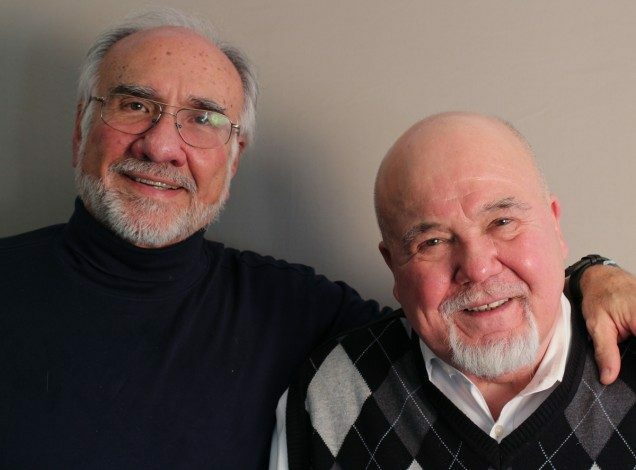 Tom, who has continued to spend his life fighting for civil rights, came to StoryCorps with his friend, Angelo Fuster (pictured below left), to share memories of his time with the King family. Originally aired January 15, 2016, on NPR’s Morning Edition. And then the kids wanted to play football so Coretta asked me if I would be willing to go out into the front yard. I played football with the kids and they said, “Oh, we’re gonna call him Uncle Tom.” <laughs> So they were you know, kidding with me. So I wound up spending nine months driving the family and driving Dr. King. I would basically drive him around Atlanta, although he’d like to drive himself a lot. But he was a terrible driver. And he turned WAOK radio in Atlanta on full blast. Dr. King was a chain smoker, alright? But Coretta did not like the cigarettes. So when we would come back to the house, first thing Coretta would do, she would check Dr. King’s pockets. So he started giving me his cigarettes. AF: You were a co-conspirator. TH: I was a co-conspirator with him. Martin Luther King was my hero. He was a decent, kind human being to me and treated me not as an 18 or 19 year old, but as a man. And it was a phenomenal experience for me because, at this point, Dr. King had won the Nobel Peace Prize, and he would talk to me about the movement. So here I was–did not finish high school–but I went to Martin Luther King, Jr. University and I got a PhD.